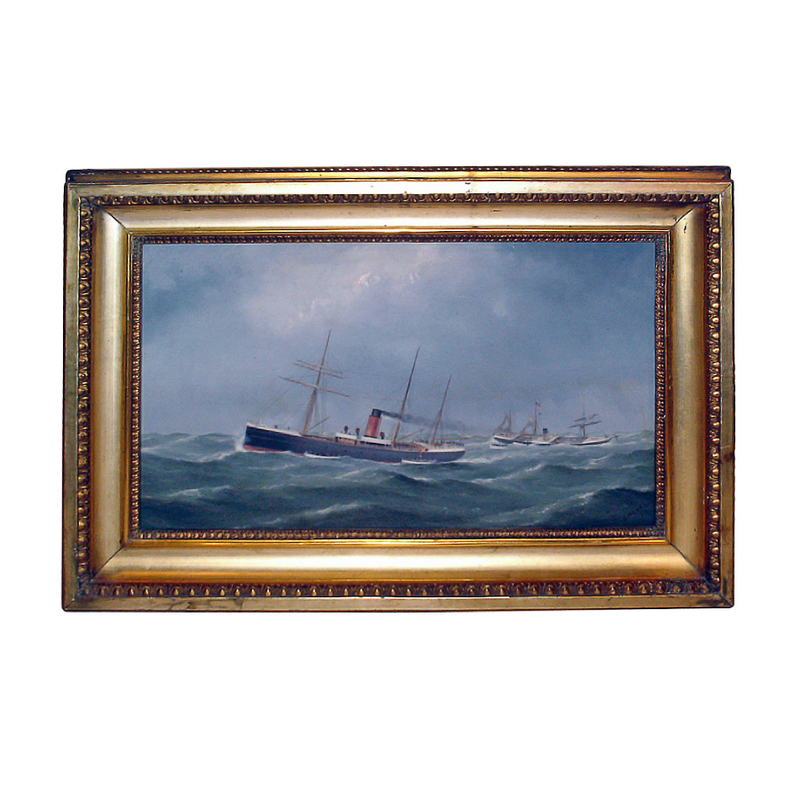 "Painted by G. Mears 1889 / Marine painter / 76 Elder Street, Brighton. CONDITION: Painting has been cleaned recently. Frame is of the period and is a bit rough in areas.